As the end of the school holidays approach, it’s time to delve into those often-forgotten age brackets, our Juniors and Seniors Divisions! Juniors is an interesting division in Australia, and indeed Asia-Pacific as a whole. At any one time, the total number of competitive players isn’t that large. Last year saw every player who had qualified for an invite also qualify for their flights! 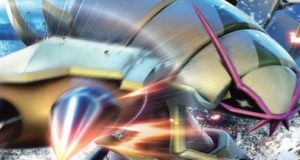 Being the younger age bracket, it’s not all that uncommon to see theme decks, strange energy combinations, and Pokémon being played because they’re liked, rather than because they’re competitive. But don’t let that fool you! Our Juniors Division is home to a number of skilled players, and whilst some have aged up to Seniors this year, be on the lookout for them come San Francisco this year. At the time of writing, we already have our first Australian representative on the Worlds invite list: Lewis Stevens from Tasmania! Lewis was the best-placed finish for Australia in the Juniors Division in Boston with a very respectable 20th place for 2015, and he’s well on the way to getting a chance to go a step further this year in San Francisco. Hot on his heels, three-time Australian Junior VGC Champion Nick Kan is only 10 points away from ticking the box on his TCG invite. 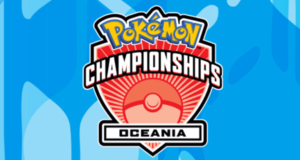 Nick will no doubt go on to do well this year in VGC and I fully expect he’ll be representing Australia again this year in San Francisco, but it’s no mean feat that this Junior has been as good as he has for as long as he has. And he’s still got another year after this one as a Junior! Finally, Jeanette Lim, younger sister of Jeremy Lim (who himself finished in 14th place last year in Boston for Australia in the Seniors Division) is also on 90 points, and should have easily covered that gap to have scored her invite before the end of February. Our Seniors Division may not be as big as the Masters, but when you look over the decks they’re running, they might as well be Masters – these lists wouldn’t look out of place in any event anywhere in the world. Looking over the tables at events this year alone, I’ve seen several YZG decks, plenty of Manectric Bats, Toad wreaking havoc on people, and players making meta calls between events to better their chances of taking away the win. In short, they’re every bit as ruthless as our Masters! And I fully expect our current crop of Seniors are going to do well both here in Australia and hopefully in San Francisco for Worlds. We’ve also already got two Seniors who have earned their invites for Worlds this year. First up is Damian Filiposki, who aged up from Juniors this year, but has continued to dominate the Cities circuit, already taking out three of the four events he’s been at. Damian finished 71st in Boston last year, and I’ve got every confidence he’s going to go on to beat that this year as a Senior. And second is Alex Crockford. Alex joined the Junior circuit last year and just scraped into the final spot for a Worlds trip in Asia-Pacific last year after a good Nationals result, and fought his way through day 1 in Boston to end up 91st overall. He and Damian have been making regular appearances in the finals at events, and here’s hoping the rivalry between these two Seniors will continue to push them to a finals match at Worlds in the future! So what do you think? Should we put the spotlight on our Juniors and Seniors? Follow their meta? Let us know!